Not for commercial use. This photo was taken at Maui Ocean Center; permissions may be restricted. To view full resolution, right click on image and select "view image." 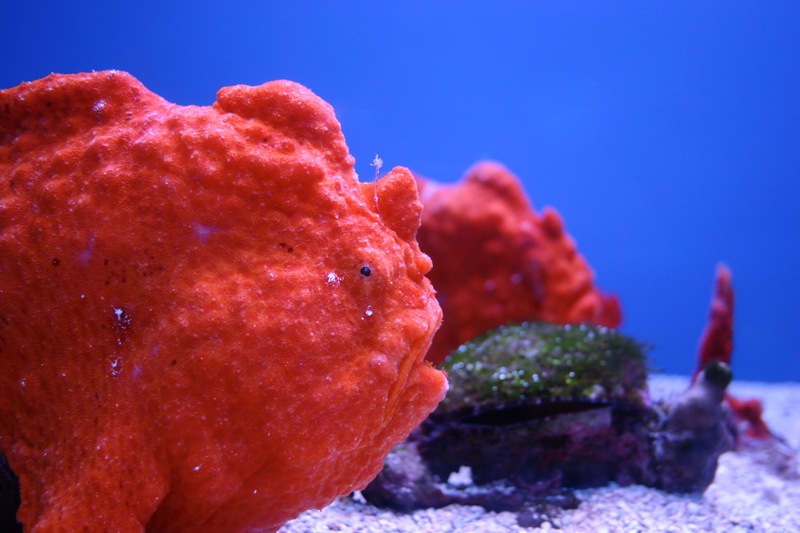 Description: This lumpy bumpy strange red sea creature is called a frogfish.